Large white poster, landscape orientation, with blue oval graph to centre left and text to the right of it. Top left shows a red cross with the words "British Red Cross". 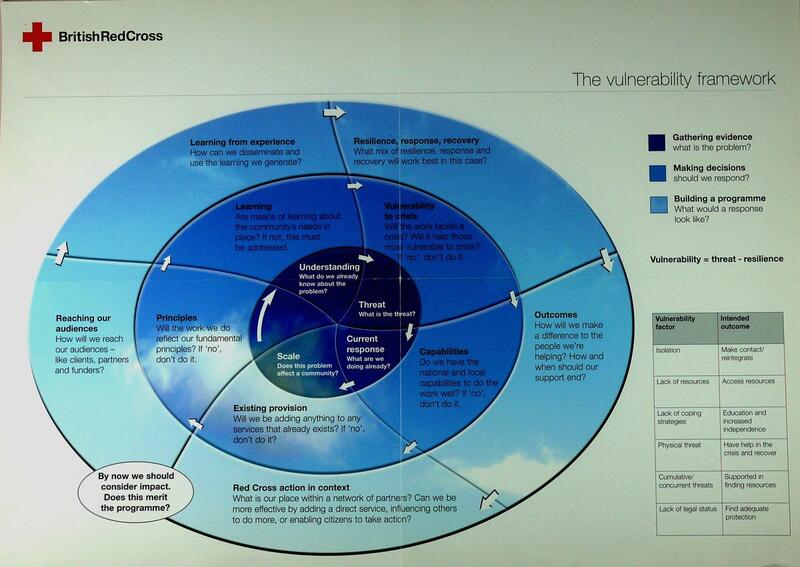 Title of poster to top right, "Vulnerability Framework", below is the key to the graph. The blue lozenge fades from the centre out in blue shades. Plain reverse.